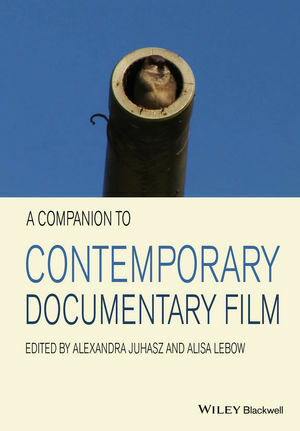 A Companion to Contemporary Documentary Film presents a collection of original essays that explore major issues surrounding the state of current documentary films and their capacity to inspire and effect change. Alexandra Juhasz is Professor of Media Studies at Pitzer College. She is the author of AIDS TV (1995), Women of Vision (2001), F is for Phony: Fake Documentary and Truth’s Undoing, co-edited with Jesse Lerner (2005), and Learning from YouTube (2011). Dr. Juhasz is also the producer of the fake documentary feature films The Watermelon Woman (1997) and The Owls (2010), as well as many “real” documentaries. Alisa Lebow is a Reader in Film Studies at the University of Sussex. Her publications include First Person Jewish (2008) and The Cinema of Me (2012) and numerous articles on aspects of documentary ranging from art and documentary to questions of “the political” in documentary. Lebow has also made several documentaries including Outlaw (1994), Treyf (1998), and For the Record: The World Tribunal on Iraq (2006).